Flash back to the beginning of the 2010 college football season and set the stage of what’s to come – the Florida Gators and Penn State Nittany Lions battling on New Year’s Day – with one of the two head coaches to retire at the end of the game. The obvious choice would be 84-year old Penn State coach Joe Paterno, and by now, everyone knows that prediction would have been incorrect. 1. 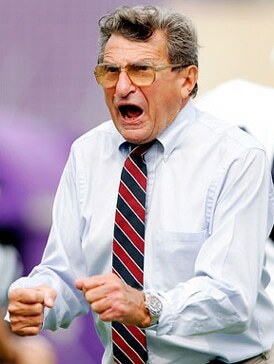 During the halftime interview, Joe Paterno will either use the phrase “getting licked” or “pin our ears back”. 2. With an over-under set at 48 – and the way these two offenses have sputtered against marquee competition – the smart bet would be to take the under. 3. The most significant impact on defense will be made by Penn State LB Michael Mauti, who recovered from a recent shoulder injury and should see plenty of playing time. 4. The Gators – with only two 100-yard rushers on the season (Demps vs. USF and Burton against Georgia) – will get its third 100-yard rusher against Penn State. 6. Penn State will win the turnover margin battle (Florida is an overall -12 against AP ranked opponents on the season). 7. Deonte Thompson and Derek Moye – by far the leading receivers for each team – will not be each team’s top receiver during the bowl game. 8. Despite multiple rumors of his impending retirement, Joe Paterno will announce he’s ready to coach for as many as three more seasons. 9. 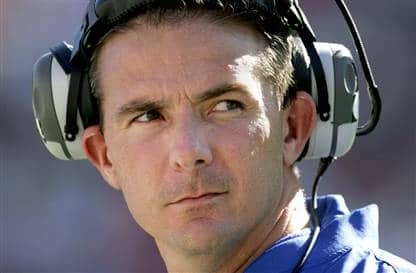 During the bowl game, Urban Meyer will have retired and unretired another 9 times – and Billy Donovan will be jealous of his decision-making skills. I kid, of course. Good man! Happy New Year to you too… hope you sit back and enjoy a lot of good football this weekend. 12. I’ll be hungover:) Happy New Year my friend. It’ll be noon somewhere. We still should have a friendly wager on this… even though I’m picking your team to win.